The cost of the traditional land line or home phone as it has come to be known is increasing. There are simply better alternatives out there with more features at lower prices. Lower your phone bills use Vonage to save money. The writer spoke to their local phone company who we had been with for over 30 years. We wanted to see what kind of deal they could provide that would be competitive with Vonage. Their answer was that they really could not do anything for us. Other than give us a $5 a month bonus if we took an additional service from them. We already have internet from a competitor. This was not sufficient to entice us to move our high speed service over. They simply were not competitive in price or in features. Which although we like to be loyal customers, we had no option but to move to another carrier. We opted to move over to Vonage with their IP telephone service. The transfer was easy and straight forward. In fact we did not have to do anything other than give them the approval to go ahead. This is a VoIP service that runs over our high speed internet service. The quality etc is fine and we are very happy with the phone service. They sent us a small module which we plugged into our high speed modem, and activated it. We then inserted the chord from our phone into this module on the day that the service was being transferred. Presto, it worked and we have been very happy with the service over the past year, both with the features as well as the price we are paying. In addition with services such as voice mails that are sent to us as an email with a wave file attachment, simul ring on phones we designate such as our cell phones plus all of the standard services such as caller ID at less than half the price, we are very happy with the service! With the email of the voice mail that has been left, we do not need to call in to listen to our voice mails. It is easy as using a smart phone to listen to the wave file and then decide if we want to return the call or just delete it. This is especially helpful in long distance situations out of country. There is no long distance call needed. We really did not want to leave our original service provider, the traditional telephone company. However now that we have, we would not go back because the price is right and we like the features that Vonage offers much better. The telephone company needs to really step up their game and offer services that are competitive from a price / feature combination to retain their business. Vonage is also adding more features from time to time so we are looking forward to seeing what they have to offer! Lower your Phone Bills Use Vonage. For more information about lowering your monthly bills, click here. Literally thousands of consumers have dumped their land line in favor of just having a cell phone to reduce their costs and to have much more flexibility. We thought we would talk about this approach on this post. Because it is another way to reduce your overall costs of communications cost and save you money. We still have a land line simply because my wife does not want to give it up. She also has a cell phone as do I and we are paying for both of these services. Fortunately I have reduced the cost of the land line as much as possible by avoiding any services such as voice mail and calling line ID etc. It still costs us $55 a month including taxes for this land line. Which is over $650 a year in total costs. This also includes long distance all over North American which is the one redeeming feature of keeping this service. I also have set up this line so that if a call comes in and we do not answer it, the call is forwarded to my cell phone. The only time I use this home phone land line is if I am at home and sitting beside the phone. Otherwise I always answer the call on my cell phone. We feel we have the best of a bad situation. The family could save $650 a year in telephone costs if we cancelled this service. But we would then have to pay extra for long distance. We could talk a long time on long distance for $650! As far as long distance services are concerned, we would obviously spend more money on long distance on our cell phones, however with Skype, with face time and messaging on the cell phones, our long distance charges could be kept to a minimum. What I really need is a solution to how I can convince my wife to let us disconnect the home phone line and use cell phones only? In addition to the $650 I pay every year for this phone, the telephone company has informed us that they are raising the charges by another $3.00 a month plus tax. They are really pushing us towards getting rid of this line. 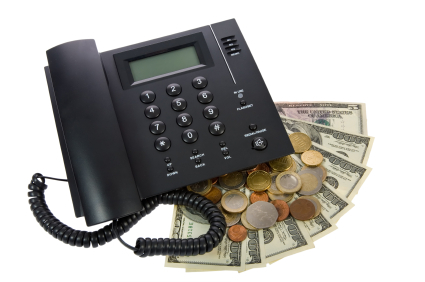 It is getting more expensive to keep a land line and we think the telephone company is trying to push us off their service. So if you have ideas about how to persuade my wife to give up the land line, let me know and it will help save me $700 a year with the latest increase. For those of you who have this situation, consider dropping your land line and using your cell phone exclusively to reduce the cost of your monthly expenses. If you do not want to answer your phone all of the time, e.g. when you are out with friends or trying to sleep, just turn it off or silence the ringer. You can actually have more privacy this way than you can with a regular land line. When we are out with friends, I usually keep our cell phone on vibrate so that I can make a decision t answer the phone or not. It can be very impolite to answer a phone when you are in the middle of conversation with someone or have it ringing while you are chatting with your friends. Another reason I want to get rid of this land line is that we also go away for 4 months of the year. Now I am paying for a phone that I cannot use because I am not at home. This seems really silly to me to spend about $220 for something that I do not use at all while I am away. We just do not need this phone. My wife wants us to keep the phone because she prefers to talk on it vs the cell phone. She feels more comfortable with a regular phone cradled on her shoulder than she does holding a small cell phone. She also finds the cell phone too complicated to use as well. I think I am fighting an uphill battle here, so would really like some suggestions on this problem. Consumers are getting rid of their traditional phones and moving to new technology that provides more services as well as flexibility. There are many solutions available. We felt that it was time to review some of them on this blog as a means of saving some money. While embracing all of these new technologies. In our own home we have tried to keep our communications cost down to a minimum. But as hard as we try they have crept up over the years. Now it is time to try to do something about it. For example 15 years ago we did not have internet. We now pay $50 a month for high speed internet. We did not have cell phones. Now we pay another $50 for two phones with local air time, long distance and text messaging without data capability. If we added data for our smart phones this would cost another $30 or $40 or even more. In addition we still have a land line which we have kept to a minimum in terms of features. It costs us about $45. All told we are paying about $150 for communications which is a lot more than what we used to pay for just the phone. Many family s now just use their cell phones for communications plus high speed internet. Right away they save $45 a month on that. If you have not already got rid of a land line and have a cell phone, then I suggest that you do that. 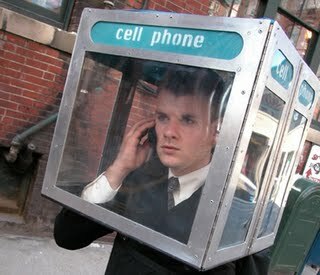 Cell phones are so much more flexible and have all of the features that you could ever want. Smart phones can handle data over the network or WiFi which in turn can get you onto the internet to do email etc. Use WiFi whenever you can to minimize your data requirements. The phone companies have realized that this is huge money for them and are charging a great deal for this service. Using Wifi is one way of keeping this cost to a minimum since it is free and most coffee shops and bars now have WiFi available at no cost. Should you get rid of your land line? Most of us will eventually so why not now? Our cell phones companies charge a lot for long distance, however there are ways around this as well which can save money. Using services such as Skype or Google’s G Phone is virtually free for most calls. Calls between skype users is free and calls to regular phones are so inexpensive, pennies a minute that it they might as well be free. These systems can be used for outgoing calls and anyone can reach you on your cell phone. IP phone calls can also be made using a regular phone by installing VoIP as well. This service can be purchased from the regular phone companies as well as startup companies and the cable companies as well who offer IP service. We are not sure why you would do this since it ends up being the same thing as a regular phone service at a lower cost. Just use your cell phone for all calls including local and long distance calls. Before making any decisions regarding these services, you must really take into account the type of calling that you do. If there is a lot of long distance calls, to another country, and your land line is inexpensive for this service, then you may want to keep your land line and only use your cell phone for local calls for example. This is unfortunately the situation we are in. My cell phone carrier charges a great deal for calls to the US and other countries. My land line calls are free up to 500 minutes, anywhere in Canada and the US. Since we make a lot of calls to the US, we will keep the landline. Our daughters call us all of the time using a call me card which reverses the long distance charges to us when they call. These calls are also included in the 500 minutes as well so they save money as well. Based on all of this, I guess we will keep the land line and the cell phones for a while longer. Debt-freedom is the mantra of many baby boomers about to retire. They have worked all of their lives to pay for the house. They have to pay for the car and to pay to get their kids through school. Then there are the various adult toys that they have collected. These include everything from cottages, sports vehicles, fancy cars and all of the electronics that money can buy. Now they are focusing on eliminating debt or reducing it as much as possible prior to retirement so they can live on a reduced retirement income. Non baby boomers and first time home buyers are also aiming for debt freedom, paying off mortgages more quickly than needed and doing without so they can focus on reducing debt and saving the interest that they pay on this debt. Since 2008, interest rates have been at historic lows, but they are about to rise again in 2013 and 2014. This is the time to reduce your debt before interest rates go up. Debt freedom is important to many people who have either learned a hard lesson over the past two years or who have watched friends and relatives lose their homes and cars. Well the answer is that it varies, however for many of them it starts with setting a budget to try to keep their debts under control, and setting money aside to pay for any outstanding loans and mortgages. It also starts by avoiding purchases in the first place that will increase your debt or make it more difficult to pay off existing debt. Ask yourself if you really need the item, can you do without it , is there another cheaper alternative? With all that has occurred over the past 2 years, the stock market crash, the foreclosed homes and more on the way, more and more people are aiming to decrease their debt. They are worried about the exposure they might have if they lose their jobs or if interest rates increase. It starts with setting budgets for holiday spending, vacation activities and everyday expenses. Shaving some of the extras off your day to day expenses can save a great deal of money which you can use to reduce your debt. Budgets are difficult to keep, many people break them and some people will even spend more money than what they planned. Some folks are doing without vacations for their family. The first step is to set up a budget and is a good start. However sticking with it requires commitment and perseverance. Setting targets for your credit card payments, car loan payments and any other debts you have will help you go a long way to managing your debt. If at all possible cut up your cards and pay with cash. Pay for the things you need and do without the things you want. Use credit cards responsibly. Avoid high interest rate cards and pay off your cards balance at the end of each month. Reduce your debt on the highest interest debt first to maximize your savings and make more money available to reduce your debt. If you can transfer high interest debt to low interest debt do so as quickly as possible. 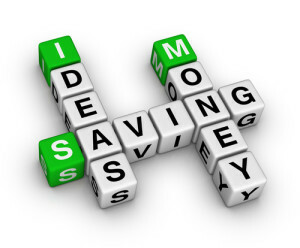 Use the savings to reduce your debt. Never use the savings to buy more things that you really do not need. Debt freedom is an enviable target and objective and kudoo’s to those that achieve it. There is a certain amount of freedom an euphoria when it happens to you, enjoy it, you worked hard for it. Comments and ideas about achieving debt freedom are welcome. Our readers are looking for ways to achieve this objective. 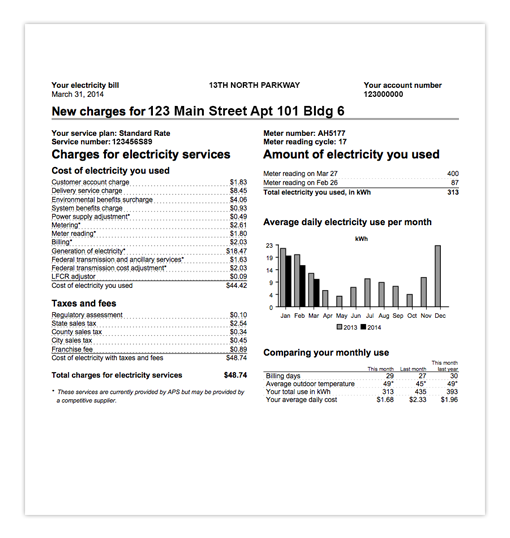 Many consumers are very frustrated with the monthly bills they pay. They want to know how can I lower my bills? I too had this same questions and discovered how I can lower my bills without too much work. There are lots of web sites out there that are focused on renegotiating mortgages and loans etc, but basically they want a piece of the action and they will end up costing you more money. There are lots of ways that you can knock a few dollars of a variety of things and end up saving hundreds of dollars a month. Some involve negotiating with the vender for a lower price, while others involve changing your habits so that your monthly bill is less. We believe in the motto: “Always ask for a discount, the worst that will happen is that they say NO”! Water, Heating and electrical usage can not be negotiated since they are provided by city or large government agencies in many locations. But you can control these bills to some extent by managing your usage – turning the heat down at night during winter time and the AC up in the summer will make a significant difference on these bills. Dry your clothes in low cost time frames on the weekend and turn off lights in rooms that are not in use. Water usage can be reduced by migrating to low flow toilets shower heads and faucets. Cable TV, Telephone, Mobile and Internet services can all be negotiated. First you need to do a little work to investigate what the competition will offer you if you were to switch accounts to another provider. Then approach your provider and ask them what they are willing to do. Inmost cases if you have your facts together, they will offer discounts over your current billing. I recently did this and saved almost a $100 a month! That is a lot and really contributes to lowering my bills. Take the bus to work, walk more, keep your vehicle properly tuned and ensure that your tires are properly inflated. Plan your trips to reduce mileage, drive at the speed limit instead of 10 miles an hour over and avoid jack rabbit starts and stops. If your currently paying a high interest rate, you may save some money and reduce your monthly bill as well by renegotiating your mortgage. There will be fee’s associated with a new mortgage, so compare this cost with what you are saving to ensure that overall your monthly bill is going to be less. Never pay full price for anything you buy unless it is an emergency situation. All items either go on sale at some point or they can be negotiated to a lower price. Be patient and save money by looking for the discounts. 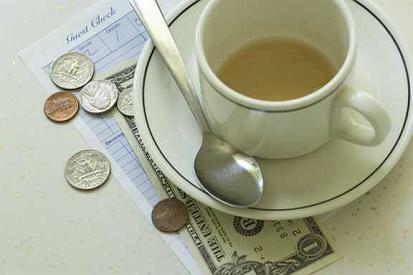 More and more people are eating out for lunch, yet you can save money by making your own. I know people who spend more than $10 every day for lunch, yet they could save at least half of that by making their own lunch. That would add up to around $100 a month in savings. Coupons are a big deal in some locations and not so much in others. Whenever you get the chance to save some money by using a coupon do it. We have all watched the reality shows , extreme couponing etc. You may not go that extent, but even if you save money each time you shop, it can add up. This is potentially a big one and that is DIY or do it yourself. If you are not handy and not willing to learn it may not work for you. Many consumers save themselves thousands of dollars every year by doing repairs and renovations themselves. Teach yourself, talk to the experts, ask friends to help. Whatever it takes do it yourself, just make sure you know how to do the work safely and correctly. 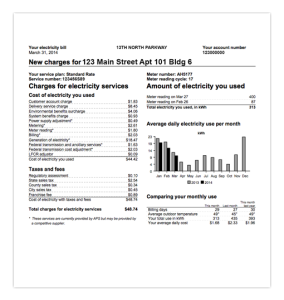 These are lots of good ideas about how can I lower my bills. They may not all apply to everyone, but even if you can use one and save $100 a month your ahead of the game. Give us your comments about this post and how to lower your bills. If you leave a well written comment, we will even approve a link back to your own site if you have one.